We woke early on Sunday morning to leave for the airport. The first words I heard were from Maisey, who was adopted with Benjamin, “Bring him home mama. Ok?” We arrived in Boston on Sunday night. 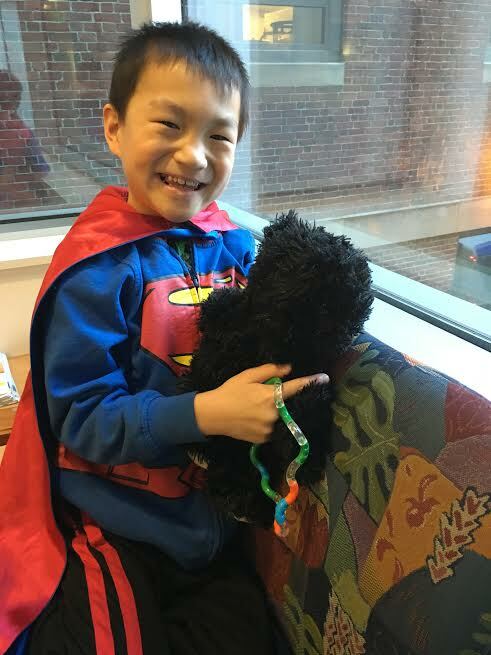 Benjamin had his pre-op appointment bright and early Monday morning. He was listed as the first case for surgery on Tuesday. He was extubated Tuesday night. We spent one day in the PICU. He could have gone home on Friday, but they wanted to do one more chest x-ray Saturday morning just to be safe. This surgery was miraculous but not because it went so well or so quickly BUT merely because it happened at all. How completely humbling it is to watch as your child receives a miracle. Mir-a-cle (noun) – a highly improbable or extraordinary event, development, or accomplishment that brings very welcome consequences. It’s been an unbelievable journey with him. We went from having no hope to hope for a complete repair. Why? Why Ben? Why our family? We are no more special or more deserving than the next family. We have a strong faith BUT so do most of the people I have met on this same journey. Things happen, good and bad, and it makes no sense to me. I can’t wrap my head around it. I can’t see the big picture. Have you ever stopped and wondered why you get to live in America? Why you wake up free? Why you have a warm house to live in? Why you can go to any store and buy your groceries? Why do you have clean, running water? Why don’t you live in a mud hut? Why don’t you have to walk miles to find your water? Why do you have health care? We are no more deserving than the rest of the world. Our faith isn’t necessarily stronger. ALL of us are sinners deserving of nothing so why do some have and some do not? I’ve seen others who have been hospitalized for months and months and months and have major complications. And I’ve seen some fly through it just like Ben. Their faces have stayed with me. Their stories of faith and fight have moved me. 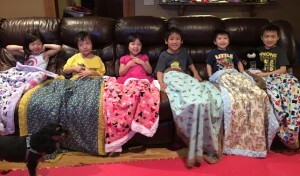 There are 277 people on our heart group for families adopting from China. We are all walking this journey of adoption and faith and congenital heart defects. We all have a story. All of us. Some of us are more public with our blogs and Facebook pages, but everyone’s story gets told to those around them, their family, their churches, their friends, etc. Everyone of these heart babies have a story. Every one of these children have touched others lives. Every year during February a dear heart mama, Jaime, puts together the 28 Days of Hearts Blog where these families share those stories. These are stories that encourage others. When we traveled this past February another mama said she knew me and figured out it was through this heart blog. We will never know how many people are touched. We can not know what the ripple effect of their lives is. Their lives, no matter how long, have great worth and are worth every minute that we fight for them! I have a hard time with sayings such as “there but for the grace of God go I” but at the same time I’ve name a daughter, Grace, because I truly feel she was saved by God’s grace. Or “God must have plans for him” because whether a child survives or not God had plans for this child. And I know God does not mean to harm us, but doesn’t a child’s death mean we are harmed? and yet Jeremiah 29:11 is still one of my favorite verses. For I know the plans I have for you,” declares the Lord, “plans to prosper you and not to harm you, plans to give you hope and a future. I understand there is so much I can’t possibly comprehend. God’s ways are not my ways, but I do know these little lives, whether they live a long life or a short life, matter. People are moved by these stories whether happy or sad. They are moved by the struggles and the pain. Many, many people come together and pray for these hurting families. Lives are changed. More children are adopted. More people realize they too can do this. Families are supported. People are encouraged. None of us want to go through the bad but the truth is that is where we turn our lives over. It’s in the messy parts of life where we can’t figure out how to go on that we draw closer to God. We are no longer too busy to take the time to pray. Our hope lies in him. We can’t go on without Him. These little lives bring us closer to God. They make our walk stronger. They make our faith more real. They take us so far out of our comfort zone that we can barely breathe. We turn it over, our pain and our worry. We let God hold it. We truly understand for the first time what “cast our cares on Him” really means. We find peace where it shouldn’t be. We find strength from Him. We learn to fight for what’s important. We learn how to let go of the small things. And when the unthinkable happens, we find peace in the hope that eternity brings. We hold tight to the promises that this is not the end. We look forward with new understanding of what the joy of reaching heaven’s gates means. These little lives matter. They are worth the fight. Although we can look at Ben’s recovery as a miracle. The reality is that all their lives are miraculous. They have survived the unthinkable. They have lived with oxygen saturations that leave them blue with clubbed fingers and toes and still they are happy. They still find reasons to smile even when they can not run and play like the other children. They still love BIG even though their little hearts are broken. We learn so much from these little lives. Each and every one of their lives is a miracle. We are lucky enough to have four miracle heart babies in our family. Four times we have stepped out in obedience. Four times we have been scared beyond belief. Eight times we have shown up for open heart surgery. People ask, “Is this a big surgery?” Just let me say for the record that any time they open your child’s chest, put them on bypass, and mess with their heart, it’s a BIG surgery. It doesn’t matter if it last 6 hours or 14 hours. You never know what is going to happen. Granted some surgeries have much greater success rates, but it is still frightening. It is still going into the unknown. I want you to understand what it is like to live in my house. I wake up in the morning and stand at the doorway, while my miracles walk towards me. I know at any moment it could end, as it could for anyone, and I appreciate every breathe they get to take. So although I am singing praises from the mountain tops about Benjamin’s miracle, I want you to understand that every life is a miracle. Everyone of these heart children’s lives were a miracle. There are many more miracles waiting for their forever families. If God is talking to you, and you are scared beyond belief, we’ve all been there, please reach out. Any of us would love to encourage you on your journey too. Here I am again sitting in a waiting room, praying for my child to make it through their open heart surgery. This makes number 8 for our family. Every surgery is different, they have varying degrees of complexity, some repairs easier than others, but every single time it is scary. You can’t have your child’s chest cracked opened, have them placed on cardiac bypass, and think it is just an ordinary, run-of-the-mill kind of day. We are extremely grateful to be sitting in this waiting room today. We never thought this day would happen. When we first had physicians look at Ben’s file they were all negative. They said there was nothing that could be done. Ben had gone too long without a repair and his pulmonary hypertension had done it’s damage to his lungs. Then when we were home, we got hope in the form of palliative surgery. Then we were again given renewed hope by some mama’s on Facebook that encouraged us to get a second opinion. That second opinion brought us here to Boston where we were told they could do a partial repair. Ben was been born with TGA, VSD, and an ASD. His pulmonary hypertension kept them from doing the full repair because closing his VSD would likely lead to a pulmonary hypertensive event that would lead to his death. If Ben had been born in the US, he would have had surgery within the first couple weeks of his life. His repair would have been complete and he would have gone on to live a relatively normal life. Because he didn’t get the care he needed right away, Ben developed pulmonary hypertension. His lungs were damaged. His fingers very, very blue. At the age of 5 when we were able to have Ben’s first surgery, he was unable to run around the couch and chase his siblings. Today Ben is unstoppable. I have to admit it is hard for me because on one hand I want to stand on the mountain top and shout praise about God’s healing because I know that is what happened; but on the other hand, I am mindful of the parents who are praying just as hard and for some reason, they haven’t got the answers they were hoping for. I was once the mother praying for healing for her sons and the end result was not what I had hoped for. I even heard the words “Maybe you just didn’t pray hard enough.” Those words cut me to the core 28+ years ago. I know you can have great faith and still not get the answer you want. I know that although God’s plan is perfect, it is hard to accept at times. I know that joy and pain go hand in hand and that many lessons are learned through the hard road, but none of us really want to be on that journey. So today I am praising God and at the same time praying for those that I know who are waiting for healing. I have seen too many babies die in the past year and I hurt for those families. So please, if you are praying for Ben and his healing, please include the families that are hurting from loss today. God knows their names and is holding them close.